Jumeirah's newest property, Al Seef Hotel by Jumeirah, is set to open this September on the banks of Dubai Creek. The 200-room hotel is spread across 22 traditionally designed Arabian Bayt (homes), adorned with the wind towers famous throughout the region. With views down into the alleyways of the souk and out across the busy waterways of the Creek, Al Seef Hotel by Jumeirah is inspired by the culture, heritage and stories of old-world Arabia; and brings to life the warm traditions of Emirati hospitality. 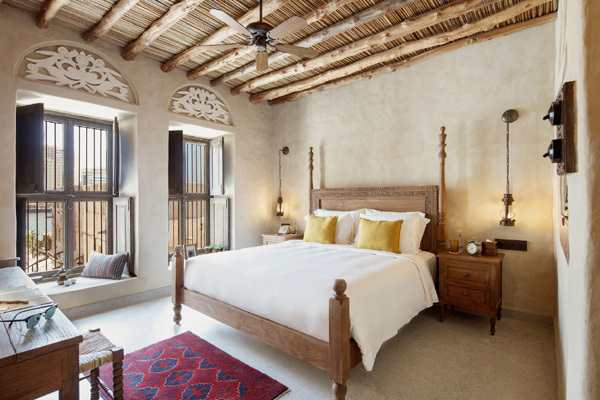 At the opposite end of the promenade to the two recently opened hotels in Jumeirah’s Zabeel House collection, Al Seef Hotel by Jumeirah offers a distinctly different guest experience; one which places a strong emphasis on the city’s proud history. The area is still a bustling site of trade, with souks and aged dhows full of merchandise bound for India and Africa. A short stroll away are the museums, galleries and cafes of the popular Al Fahidi historical neighbourhood; the architecture of which was the inspiration for the creation of Madinat Jumeirah, Jumeirah’s ‘resort of Arabia’ adjacent to Burj Al Arab.